With its longhorn steer details, this handcrafted, Western style end table will be a wonderful addition to your Western décor. 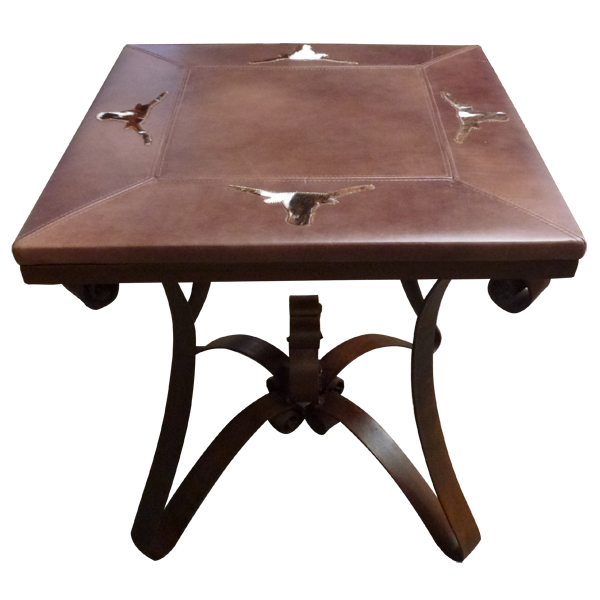 The rectangular table top is covered with rich, brown, full grain leather. The leather is double stitched together for extra strength and durability. 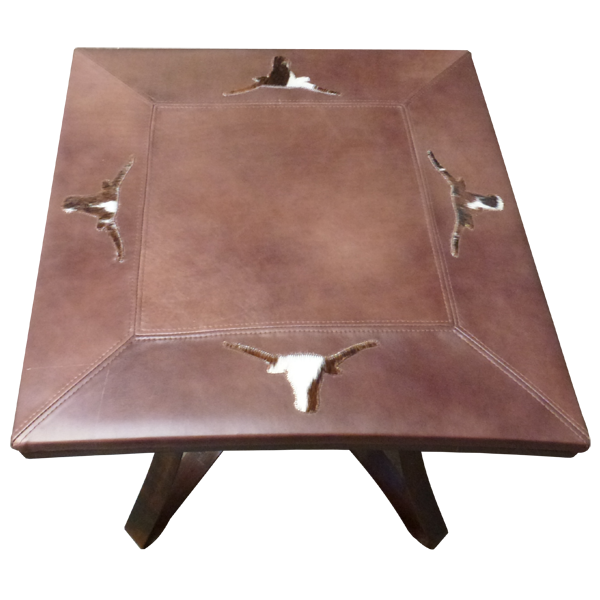 Hand sewn in the center of each side of the table top is a longhorn steer design made from real cowhide. 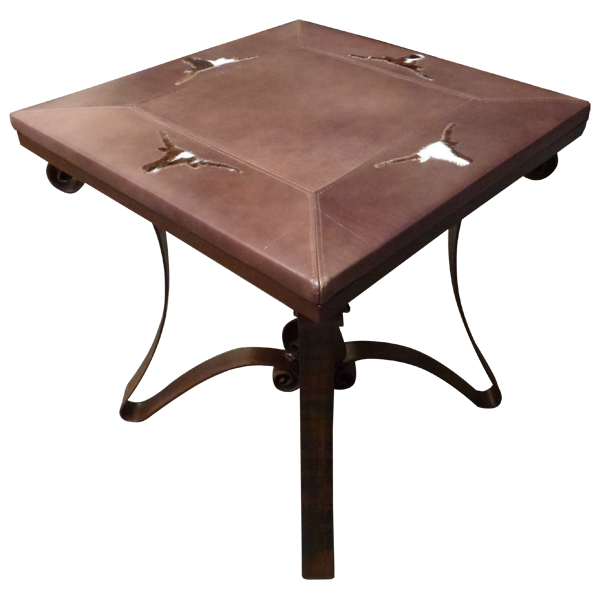 The rim of the table top features a hand forged, iron band, adorned with hand forged, iron conchos on each side. 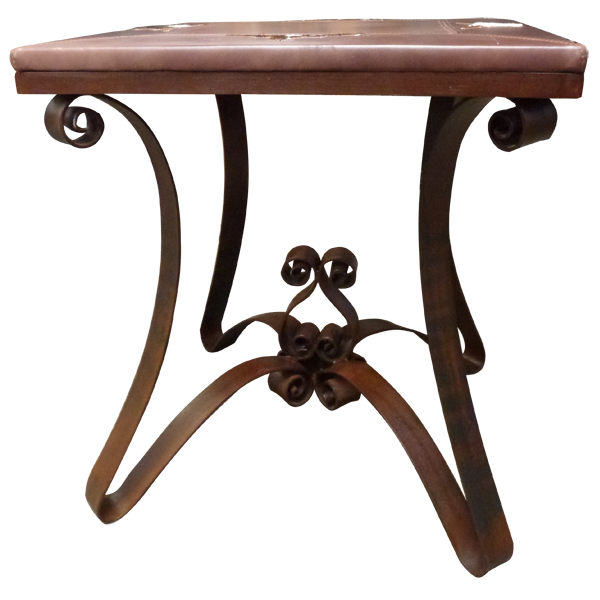 The top is supported by an intricately designed, hand forged, iron base made by our skilled craftsmen. This durable end table is made with the best, sustainable, solid wood base available, and it is 100% customizable.